Happy Halloween. I will choose a treat. Winter is back. 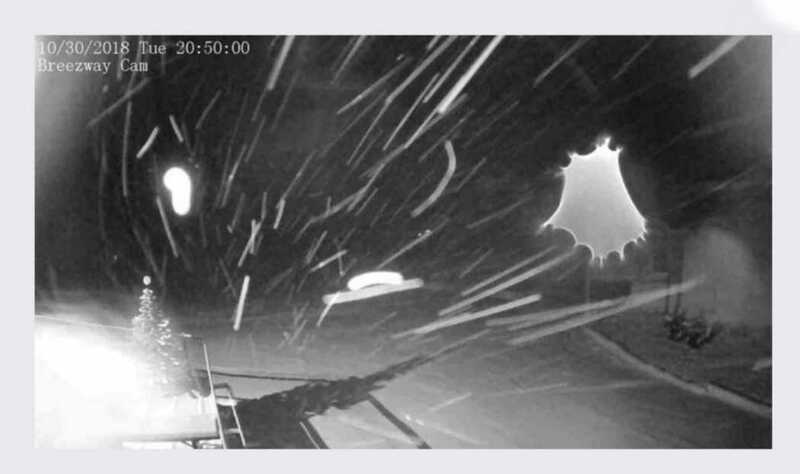 I checked the webcams last night and saw this snow ghost on the Breezeway Cam.